The Board and Management of Air Niugini Limited wish to congratulate four staff members for being awarded in the Most Excellent Order of the British Empire in The Queen’s Birthday Honours List. 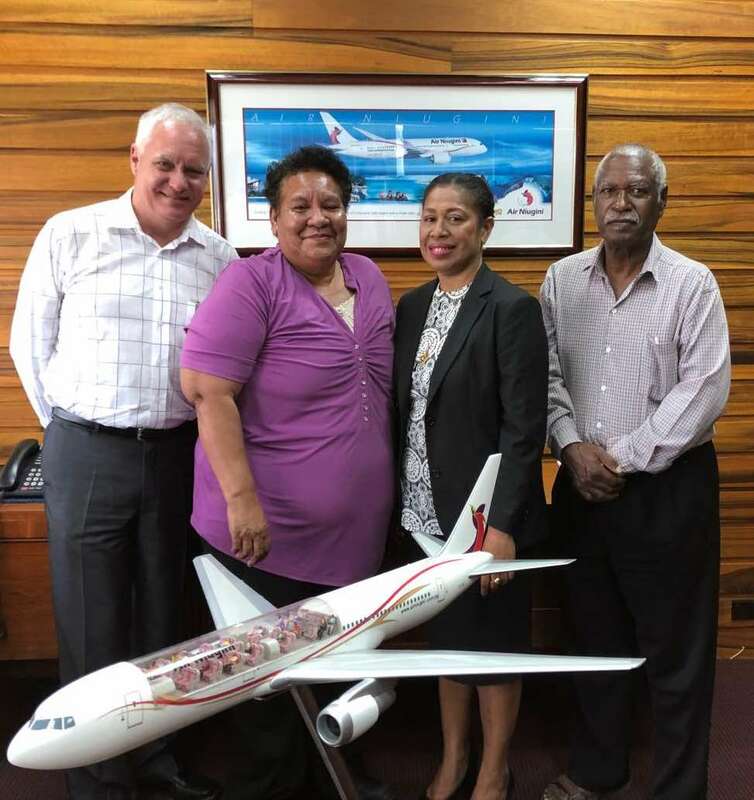 The four staff are – Ruth Miro Daingo and Christine Medeline Temu for their services to Air Niugini, having worked with the airline for 29 and 24 years respectively, Emmanuel Pilai for contributing 34 years of service to aviation and education and John Mark Vellacott for his service to commerce and humanitarian causes. The four Air Niugini staff were among 92 Papua New Guineans and other citizens who have been honoured and awarded for their services and contributions in various fields in Papua New Guinea. The Air Niugini Family acknowledges our staff members and warmly congratulates them and their families for this special public recognition of their services to the airline and to Papua New Guinea.